Al Arabiya, 10 November 2017 - While considering the manner in which Saad Hariri had to resign as Lebanon’s prime minister, it has to be realized that Hezbollah controls around 25 percent of that country’s territory and that its militia has grown more powerful than the Lebanese army. The level of interference by both Hezbollah and Syria in Lebanese politics at the behest of the Iranian regime, particularly Hezbollah’s proven record of assassinating those speaking out against it or its Syrian and Iranian patrons, must have been a major cause behind Saad Hariri’s decision to leave the country before announcing his resignation. As far as Hezbollah is concerned, the area it controls within Lebanon is virtually a state within a state. Due to the introduction of well-constructed social programs, Hezbollah has managed to maintain a very strong grassroots support amongst the local Shia population. But behind its façade of social programs, the terrorist group has an ulterior motive. Able to collect its own taxes, it is also well funded by Iran. Having vast resources for setting up health clinics, hospitals, and centers to assist orphans and widows, as well as for running schools with syllabi similar to those in Iran, it has helped Tehran to gain a firm foothold in the country, as well as to keep its followers close. Beneath the cover of running social programs, the Iranian Revolutionary Guard Corps (IRGC) has infiltrated its men into many of Hezbollah’s institutions, allowing it to penetrate the local society. In 1982, IRGC commander Hossein Dehghan – who later became Hassan Rouhani’s defense minister – was sent to Lebanon to establish a powerful militia to fight back Israeli aggression, which resulted in the formation of Hezbollah (Party of God) — an entirely Iranian inspired militia group, which has been used time and again by the Shia regime as a proxy to carry out terror attacks against its enemies, and in recent years by Bashar al-Assad as a tool to retain power in Syria. Should anybody appear on Lebanon’s political scene deemed a threat to Syria’s influence in the country, the Assad regime’s death squads would quell it. Among those who met their fate for not towing the Assad line were prominent dissidents as Samir Kassir and George Hawi, and former Lebanese prime minister Rafik Hariri (the father of Saad Hariri). Saad Hariri gestures as he talks at the governmental palace in Beirut on August 10, 2017. The multi-billionaire construction tycoon Rafik Hariri had previously a solid experience and network within Saudi Arabia, and being a former Saudi diplomatic representative, he was instrumental in bringing together warring factions for the 1989 Taif Accord that put an end to the 16-year civil war. Using his successes to influence Hafez al-Assad, Rafik managed to convince the Damascus administration that he was the right man to become the first post-civil war prime minister. All went well at first, as Hariri pumped billions of dollars into rebuilding the country’s severely war-damaged infrastructure, investing heavily into restructuring Beirut’s business and hotel districts, with contracts being awarded for industries such as telecommunications and roads. But eventually, the country’s economic growth started faltering and Rafik Hariri resigned as prime minister in 1998. But after almost two years out of office, he returned as prime minister. Back in power, he aligned himself with anti-Assad politicians, and with his anti-Iranian stance while in office, Rafik soon made himself an enemy of Bashar al-Assad. What finally sealed his fate, was his support for a UN resolution calling for the withdrawal of Syrian troops in August 2004. 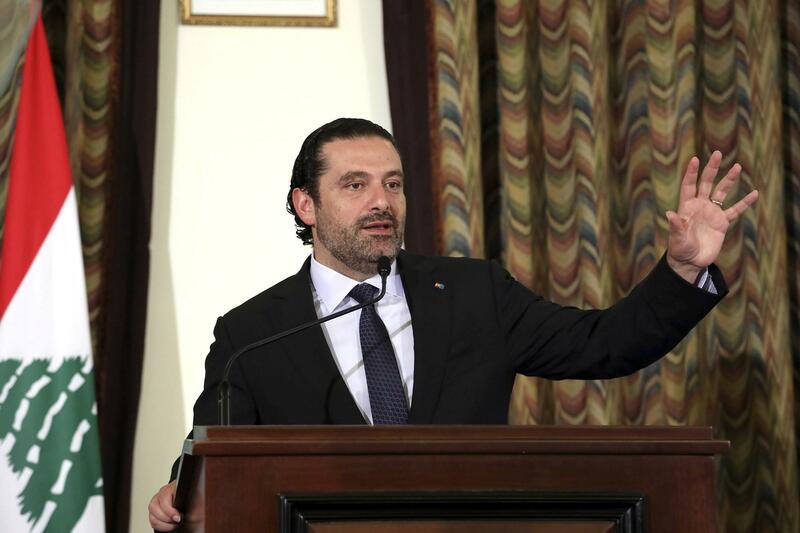 A month after his decision to support the UN resolution, Hariri resigned as prime minister again and after an argument with Bashar al-Assad, in which the Syrian leader purportedly issued a veiled threat on Rafik’s life. It was in central Beirut on February 14, 2005 that Rafik Hariri was killed in a bomb attack, which blew both his convoy and his car to smithereens. A large quantity of high grade explosives had been used in the attack, which was allegedly intended at sending a message to both Lebanese and Syrian people about the consequences of opposing Assad. Then in January 2014, four members of Hezbollah were put on trial in absentia for the bombing at The Hague, as Hezbollah leader Hassan Nasrallah refused to hand over the accused, blaming the Israeli secret service of manipulating data records in an attempt to blame the bombing on Hezbollah. The trial is still continuing. Continuing his father’s stance in politics, Saad Hariri, a wealthy businessman in his own right, first stood as prime minister from 9 November 2009 – 13 June 2011, but left his post after a group of 11 ministers from Hezbollah withdrew from the unity government, forcing it to collapse. After a break from politics to live abroad, Saad came back to assume the position of prime minister on 18 December 2016, heading a coalition that grouped together most of Lebanon’s main parties. Being the leader of the Future Movement, he was also the most powerful member of the March 14 Alliance, a coalition of political parties and independents born out of the Cedar Revolution, which brought about Syrian troop withdrawals from Lebanon through mass demonstrations in 2005. Since its founding, the group like Saad himself, has had an anti-Syrian regime stance, making him a certain target for assassination. In recent days, with Saad Hariri having apparently been informed of a plot to assassinate him by Western intelligence, it made good sense for him to leave Lebanon, and head for a country that he knew would offer him protection. Of course, such an action was certain to stir up insinuations amongst many in the Hezbollah and the Iranian camp, on how he was being held against his will in Riyadh. Taking into consideration the series of trips he had recently made to Saudi Arabia, plus the fact that he has made frequent calls for Hezbollah to withdraw its fighters from Syria and the death threats said to have been issued against him for making such comments, Saad rightly decided to leave as quickly as possible to a place of refuge. Saad Hariri decided to offer his resignation live on Al-Arabiya television channel and whilst doing so, he launched into hard-line anti-Hezbollah rhetoric, denouncing Iran for meddling in Arab affairs and for spreading chaos, strife and destruction throughout the region. For a man with his back to the wall, living in a country where his enemies were closing in on him, Saad Hariri had no choice but to take the decisions he took. With Bashar al-Assad back in control of Syria, and a victorious Iran gloating over its conquests in both Syria and Iraq, Lebanon is certain to be its next target. Iran has now achieved what it has always wanted for continued hegemony in the area, a land corridor to supply its proxy Hezbollah, giving Iran a springboard to strike out at Gulf states. With Hezbollah having faithfully served as combatants in both conquests, what better reward than to have Lebanon handed to it in its entirety, as with its own fighting force more powerful than the Lebanese armed forces, and with Iran backing it from Syrian soil, this might soon become a reality. So whatever road Lebanon might take in the future, Saad Hariri has completely distanced himself from any ties with Tehran and Hezbollah, whose hideously control Lebanon in many ways, and whose future destabilizing policies are certain to push it towards chaos and civil war. The Iranian regime believed that it could manipulate Hariri to do their bidding, as during a meeting before flying to Saudi Arabia, the Lebanese prime minister had met with Ali Akbar Velayati, a top adviser to Iranian Supreme Leader Ayatollah Khamenei, who praised Hariri’s coalition for being “a victory” and “great success”. As far as Hariri was concerned, these must have been deceitful words, coming from the mouth of a man whose leaders wanted him dead. For as far as Iranian regime was concerned, Hariri was just a caretaker leader needed to keep the country stable, until it was ripe for a Hezbollah takeover.